We all enjoy getting new clothes, right? I definitely love getting new clothing and accessories, but I don't often have time to make it to my favorite stores, let alone have the money to pay for full priced items. Luckily, there are clothing subscription boxes on the market that send affordable, new clothes right to the doorstep of your home! If you aren't sure which company is best for you, you're in the right place! We've put together a list of what we believe to be the top 10 best clothing subscription boxes. You will find enough information in this review to determine which clothing subscription box is best suited for you. Variety of clothing options/sizes, value for cost, quality, customer service, and customer reviews. Value for Cost: In order to receive a high rating, we believe clothing subscription boxes must be WORTH YOUR MONEY. Simple as that! We take a look at the lowest price that each clothing subscription box offers to get started, the average price, and how much you would pay for each item if you were to buy them in store. All of these variables allow us to determine which clothing subscription boxes offer the best value for cost! Customer Service: Customer service is a big one. We believe it is very important that each clothing subscription box has a customer service team that is willing and ready to assist you with any questions or concerns that you might have. You need to be able to efficiently manage your subscription, and cancel your subscription when you are ready. This all falls under customer service. Customer Reviews: Another critical sector of our rating process is the public perception. We make it a point to take a look into what people have to say about their experiences with clothing subscription boxes. If customers are leaving positive reviews on their experience with any specific clothing subscription box, chances are that you will have a positive experience as well. We want you to be confident in whichever clothing subscription box you are getting involved with. 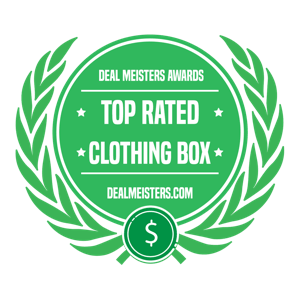 Using our rating system, we have created a list of the top 10 best clothing subscription boxes that are on the market. We have sorted these subscription services in order of "best overall rating." BootayBag is a women's underwear subscription box. Their underwear generally falls under a cutesy, feminine design style. BootayBag typically features lace, frilliness, and girly colors. They offer top-quality underwear at an extremely affordable price that is hard to compete with! It is very easy to manage your subscription, and we are confident that you will really enjoy this clothing subscription box! To learn more about BootayBag, check out our BootayBag review, or skip that and get started here! Who Should Try It: BootayBag is a great for women that would like to have fresh undies on a regular basis for an affordable price! Deal: Get your first month free with BootayBag if you sign up for a 12 month subscription! MeUndies is one of our favorite clothing subscription boxes. They specifically offer underwear. They place great emphasis on marketing themselves in a fun, playful, and hip way that appeals to men, women, and children of all ages. MeUndies is dedicated to providing a soft, comfortable underwear experience for all. MeUndies also prides itself on offering underwear that is made from only the most top notch materials. To top it off, the designs range from bright and colorful to subdued and basic. Who Should Try It: MeUndies is perfect for anyone that loves having new underwear on a regular basis, yet hates shopping for underwear in person. Trunk Club is one the most popular clothing subscription boxes on the market. They will put you through a simple signup process, asking you questions on your style preferences, fits, and sizes. Their goal is to create a complete wardrobe of items. You even get a personal stylist who will assess your style profile and help you pick out outfits. Trunk Club is partnered with Nordstrom, which is on the expensive side. Luckily, all you pay for is the stylist, and then whichever items you want to purchase that fit within your price limit. Interested in giving Trunk Club a try? Get started here, but if you need more information, check out our Trunk Club review. Who Should Try It: Trunk Club is a great option for those of you who would like to have quality clothing delivered to your doorstep. It is not the most price conscious, but if you are looking quality clothing, you're in the right place! Cost: $25 fee for a personal stylist. From there, set your price limit. Deal: Get free shipping and handling on your first Trunk Club box! 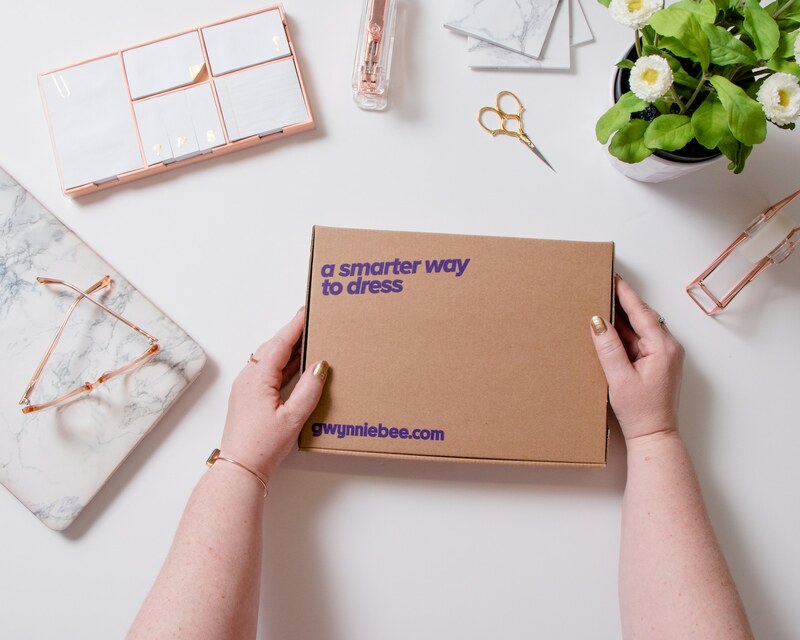 Gwynnie Bee is a fashion subscription service for women sizes 10 to 32. You can browse their collections and choose the pieces that you want shipped to the doorstep of your home each month. Gwynnie Bee even gives you the opportunity to wear the items as many times as you want, for as long as you want, and still return them for free. You can also purchase items at a discounted price. Sound like something you might be interested in? Our Gwynnie Bee review has additional information, but if you are ready to get started, click here! Who Should Try It: Gwynnie Bee is also great for women who don’t often find stylish clothing in their size. They have great selection for all times of the year as well! Deal: Join today and get a free 30 day trial! Bombfell is a very well known clothing subscription box service with a wide selection of designer brands for men. They even include flexible shipping options. The professional stylists will help you refine and create a style profile for you that looks good for both work and play. Plus, they offer a wide variety of price points and discounts suitable for any budget. You can find more information in our Bombfell review. You can get started here, or at least check it out! Who Should Try It: If you are a guy who wants to improve your personal style, but don’t you're not sure where to start, then Bombfell might be perfect for you. Cost: $20 fee for your personal stylist. From there, set your price limit. Deal: Join today and get $25 off your first order when you use the promo code "CLICK HERE" at checkout! Five Four Club (name named Menlo Club) is one of the more simple clothing subscription boxes. 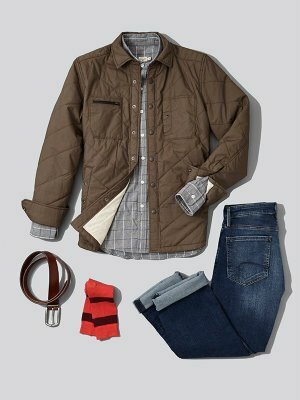 They stick to their main focus: casual, contemporary clothing of men. They offer quality assortments of shirts, pants, socks, and shoes that are perfect for hanging out and being comfortable, yet stylish at the same time! It is very affordable and functional, as you will be provided with outfits for an occasion. To get your first box, click here. If you are interested in reading some more information, we encourage you to check out our Five Four Club review. 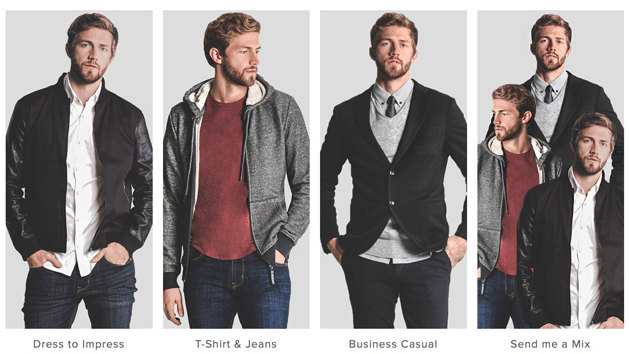 Who Should Try It: The Five Four Club (Menlo Club) is a great choice for guys on a budget who want a variety of outfits to wear when dating and socializing. Deal: Join today and get 50% off, plus a free pair of sunglasses, when you use the promo code MENLOSHADES at checkout! Splendies is a monthly subscription box underwear service that sends you a monthly box conatining three new pairs of underwear. You can choose to get all thongs, no thongs, or a surprise variety pack. They also offer a plus-size line, Volupties, if you need that. You get to choose the plan you want and can pick from one, three, six, and twelve-month packages. The more months you get, the less the price per month and underwear. You do have to pay the total amount of any package when you sign up, though. Cancellation is simple, and you can do it at any time. If you want to learn more about Splendies, read our full review or click here to get started. Who Should Try it: If you are someone that doesn’t like to shop for underwear or just does not have the time to get out there and do it, Splendies might be an excellent choice for you. Deal: Join today and get $4 off your first order when you use the promo code "SPLURGE" at checkout! Staying fashionable doesn’t have to be time-consuming or expensive. With a combination of personal service and flexible delivery, it is easy to see why Stitch Fix is such a popular way to build up a fashionable wardrobe for both home and work. You begin by answering questions on your sizes and style preferences. You will then be presented with a personal stylist to help you choose out your outfits. Check out our Stitch Fix review for additional information. If you're not interested, you can simply get started here! 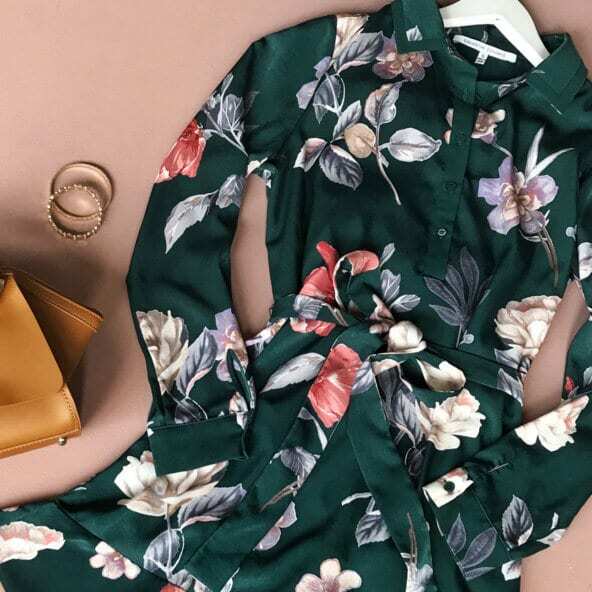 Who Should Try It: Stitch Fix can be a great fit for women looking to expand their style without breaking their budget. It is also great for women with a busy schedule because Stitch Fix offers a flexible delivery schedule. Cost: $20 fee for your personal stylist. From there, all items are individually priced and you can choose which ones you want. Deal: Join today and get free shipping and handling on your first order. You also get free returns on your first order. Watch Gang offers watch aficionados a chance to beef up their collections, whether those collections are low or high end. There's also the thrill of a contest, thanks to the monthly Rolex giveaway. Whether you have a lot to spend each month or are on a more limited budget, Watch Gang provides you with a chance to try out watches from companies you've probably never heard of. Wearing a nice watch is a great compliment to any outfit! 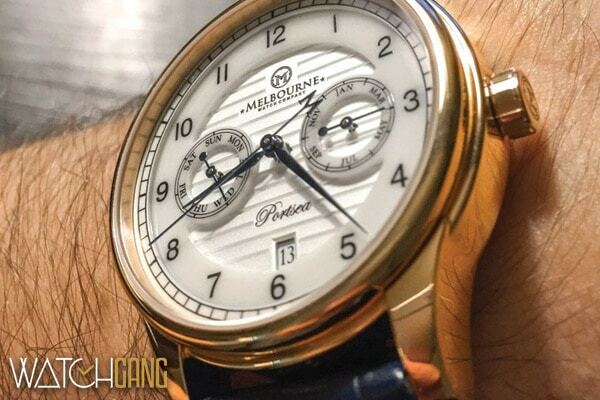 For more details, check out our Watch Gang review, or get started here. Who Should Try It: If you love watches and are interested in starting or adding to a watch collection, without breaking the bank, Watch Gang would be worth it for you. Deal: Join today and get free shipping on your first order when you use promo code "WATCHMESHIP" at checkout! Le Tote is a rental fashion subscription service. You get to choose all the items in your box, so you don’t have to worry about surprises that you won’t like. You can also choose from three different classic boxes or two different maternity boxes to best suit your budget and your style needs. You get to keep and wear the pieces from your box for as long as you would like. When you are done with them, you can send them back for free and get new items. If you are interested in giving it a try, click here to get started! You can also read our Le Tote review if you would like some more information. Who Should Try It: Le Tote is a good option for people that don’t like to make long-term commitments to clothes. If you would rather use pieces only for as long as you need them, then a rental service like Le Tote might be a good idea. So there you have it! We believe these 10 clothing subscription boxes are the best that the market has to offer. Previous articleFirstleaf Review: Can Quality Wine Be Delivered to Your Door?